Do you love clothes, and sketching outfits from your own imagination? Fashion designers get the chance to make their ideas a reality in this competitive industry. Fashion designers create designs for garments and accessories using pencil and paper or computer-aided design. They start by making a detailed pattern, then cut it into fabric or other materials to construct a sample of their design. These professionals travel to trade shows, manufacturers, and fashion shows to stay on top of changing trends and find new materials. 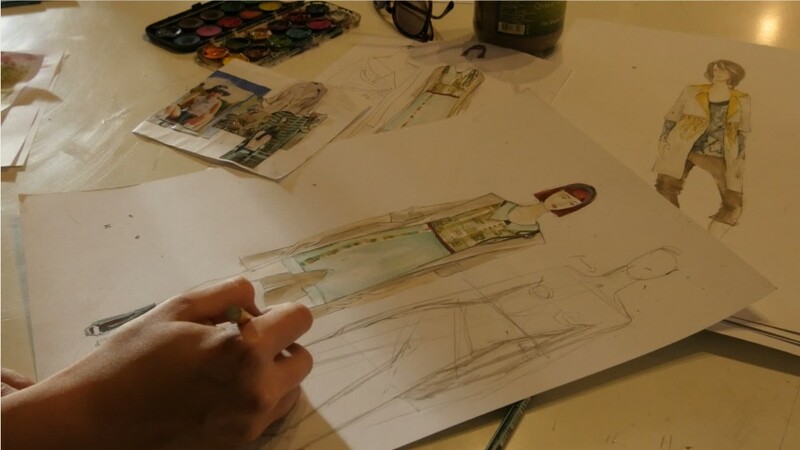 From an initial sketch to the first version of the garment, the designer can expect long hours, hectic deadlines, and clients who are perfectionists. Fashion designers are almost as likely to be self-employed as they are to work for large brands and labels. They often consult with executives and a sales team to choose a theme for their seasonal lineup. The fortunate—and talented—few, ultimately win their own label, catering to individual clients or stores. Most aspiring designers obtain a college or trade school education in fashion design. A portfolio (a collection of designs and completed projects) is required to apply for most positions. Making a name for yourself as a fashion designer is difficult, but the thought of fame waiting at the end of the show, is a great motivator. Direct and coordinate workers involved in drawing and cutting patterns and constructing samples or finished garments. Examine sample garments on and off models, modifying designs to achieve desired effects. Sketch rough and detailed drawings of apparel or accessories, and write specifications such as color schemes, construction, material types, and accessory requirements. People interested in this work like activities that include creating, designing, and making your own rules. Fashion Designers by U.S. Department of Labor, Employment and Training Administration is licensed under a Creative Commons Attribution 4.0 International License.